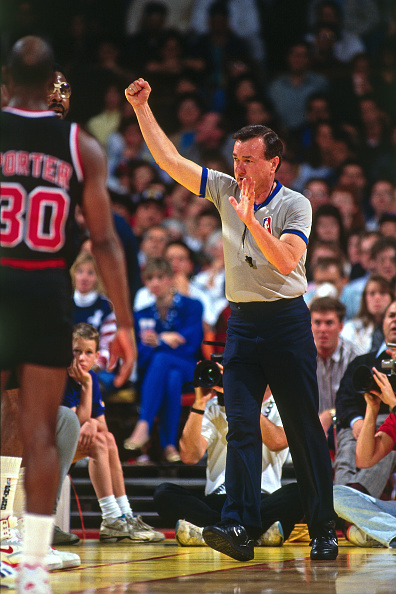 "A message from Ed T. Rush Sr., Court Club Elite Co-Founder and 32 time NBA Finals Referee"
Where are you in your Basketball Referee career? Where do you want to go? I have the answer! If you are like me, you are a Type-A+ personality. You have goals that reach beyond where you are right now. It is tough to become a high level basketball referee at any level! I’ve been blessed to have worked with many great basketball officials over the last 40 years. Over those four decades, I have been able to identify key qualities and traits that all great basketball referees possess. In this Court Club Elite basketball referee training course, I’d like to share those qualities so you can accelerate your timeline and reach success as a basketball referee much faster then you ever dreamed possible. However, I want to be clear: This will not be simple…it will take hard work. But, if you are ready to roll up your sleeves and get serious, we will make great strides together. 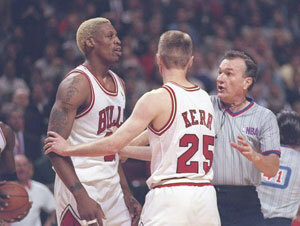 My journey as a basketball referee began when I was a 14-year-old junior high school student. My basketball coach, Ken Truscott, who was running a mini basketball league, asked me if I would like to make $10 for some work on Saturdays. This being 1956, I personally thought $10 sounded intriguing. All I had to do was ref little kids’ basketball! The games would start about 9 a.m. and run until 5 pm. It took me only a few weeks to realize that while most 14-year-olds didn’t like to get up early on Saturday morning, I did! The 10 bucks was nice, but with or without the money, I couldn’t wait to get to the gym. I had a passion for basketball rules and a desire to become a basketball referee. Director of Officials, donates MONTHLY to Blow the Whistle on Cancer. Over the next few years I made the transition from player to a basketball official. While in high school, I was an average competitor in other sports. But it was then I realized I enjoyed “blowing the whistle” and making basketball calls more than I did playing. College provided me the opportunity to move up the ranks to officiate high school games. I graduated from West Chester University and became a teacher and football coach at a suburban Philadelphia high school. At that point in life my goals were clear: I wanted to be a teacher, coach, and a basketball referee in the Winter. However, my goals were about to change dramatically. Soon I was given an opportunity to to begin basketball officiating in what was then the Eastern Pro League. At that time, the NBA had nine teams and was about to get its first national television contract. The league was about to expand into another major city, Chicago. And in 1966, when the Chicago Bulls became an NBA franchise, the basketball referee staff needed to increase by two or three people. Legendary official Sid Borgia had seen me officiate in the Eastern Pro League and asked me to attend one of the NBA’s basketball officials training camps. This was not a very sophisticated method of picking talent. I feel blessed. Truth be told, I was in the right place at the right time! 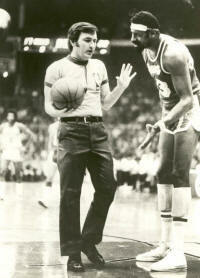 In 1966, I was hired as a part-time NBA official while retaining my job as a high school teacher and coach. THIS IS VERY DIFFERENT from how one becomes an NBA official today! During the next season, the NBA had plans to expand further. Fortunately for me those plans included a 24-year-old basketball referee who still only knew how to get two calls right: out of bounds and technical foul. I had arrived! NOT! When it came time to negotiate a salary, I can still remember that day! The commissioner of the NBA was Mr. J. Walter Kennedy. The entire NBA staff consisted of Mr. Kennedy, a part-time public relations person, and three secretaries. Today, there are close to 3,000 people working in the NBA’s New York and New Jersey offices. My negotiations with Walter Kennedy took about 12-and-1/2 minutes. Quick mental math calculated I was being offered a $6,000 salary — a $200 raise! I couldn’t turn down the “big money,” could I? He drew up a contract, which was only about three quarters of a page, stating I would be assigned 60 games at $100 a game. A hearty hand shake ensued. 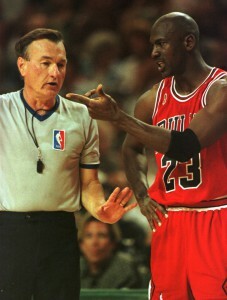 I was now a professional basketball referee!! Thankfully, the superintendent of schools approved my request for the one-year sabbatical from teaching so I could work full-time in the NBA as a professional basketball official. From that point forward, I committed my life to being the best basketball referee I could be. Ands 32 years later . . . I retired from professional sports as a basketball referee! 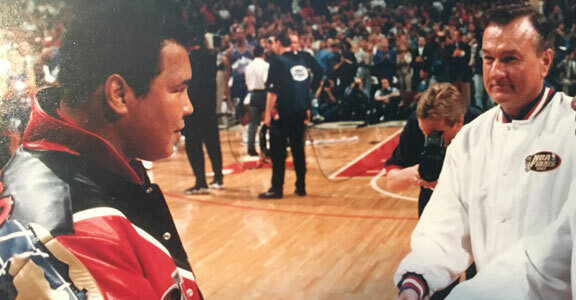 During those 32 years, I worked five NBA All-Star games, 33 Finals games, over 300 play-off games, and over 2,000 regular season games. Humbly, my life as an NBA official was more than I could ever have imagined. THIS IS WHERE YOU COME INTO THE PICTURE! Getting to the NBA, collegiate level or even a full varsity schedule takes a lot more work now than it did 40 years ago. I commend you for getting this far as a basketball official. Now, let’s go the rest of the way together, shall we? I have a passion for training basketball officials who have a desire to improve! That could be you! Within the Court Club Elite website, our personalized basketball officiating training program includes all facets of becoming a successful high level referee. Our program covers officials training topics from basketball rules, to on-court mechanics and game-calling fundamentals, to effective game management strategies. In addition, we have built a PROVEN SUCCESS SYSTEM due to our unique training content such as weekly video instruction and live interviews with a host of basketball’s best referees, knowledgeable instructors, and esteemed leaders. Our referee training team will do everything possible to help you reach your potential. I give you my word: if you are teachable, watch, listen, and seriously have the goal of being a learner, you will see tremendous improvement…very quickly! Success leaves clues, just ask any of our members working throughout all levels of basketball, from high school to the NBA and everywhere in between! I look forward to seeing you on the court.